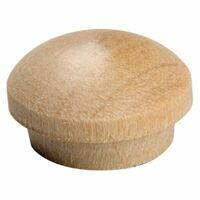 Selected clear hardwood plugs. Unfinished, smooth sanded and tapered. Selected clear hardwood plugs, unfinished, smooth sanded and tapered.